Are you a worthy and talented writer who has been intimidated by the process of traditional book publishing? Well this book is for you! Welcome to the NEW World of Publishing! Think of me as your cheerleader. I want you to write your book. I know you dream about it or you probably wouldn’t be reading this. So, consider You CAN Write A Book: The No-Nonsense Guide to Self-Publishing your book publishing coach and forget about the nearly impossible barriers established by traditional publishers. I want you to succeed! Take control with this SIMPLE process! How do I know you can do it? Because today, the technology for self-publishing books is readily available and so simple to use that anyone can publish and market a book. Everything you need is literally at your fingertips! Don't wade through a 400 page book to learn this process. 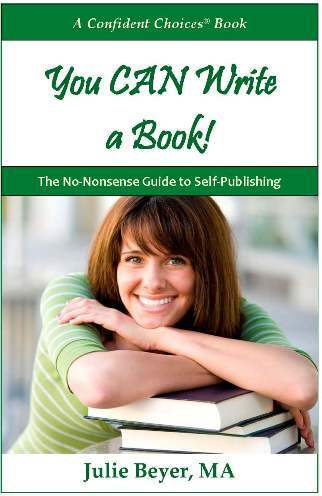 In You CAN Write A Book: The No-Nonsense Guide to Self-Publishing I cut out all the nonsense of other books and just tell you what to do. Self-publishing is one of the quickest ways to get your books printed. Once you write your book and submit it to traditional publishers, it may be months before you get your book into the public's hands. In You CAN Write A Book: The No-Nonsense Guide to Self-Publishing, I will show you how to manage your time, get the job done, and get your books in record time....many times in less than two weeks! SPEND LESS & KEEP MORE of the Profits! In You CAN Write A Book: The No-Nonsense Guide to Self-Publishing, I will teach you how to get your book printed for less than you ever could have imagined. I will share with you dozens of non-traditional ways to sell your book and how to craft a low- or no-cost marketing plan that focuses on your book's mission statement and target audience to maximize sales. You CAN publish your own book.